Her Daddy came to Sunset Castle looking for the perfect venue for his little girls 5th Birthday. The guest arrived early to the Castle located in Henderson, carrying presents and getting ready for her birthday surprise. The big smile on her face tells how happy and special she felt. She rode her Unicorn through all her loved ones and proceded inside for a special Castle Themed photoshoot with Yanelys Photography, here is some of the beautiful images captured. 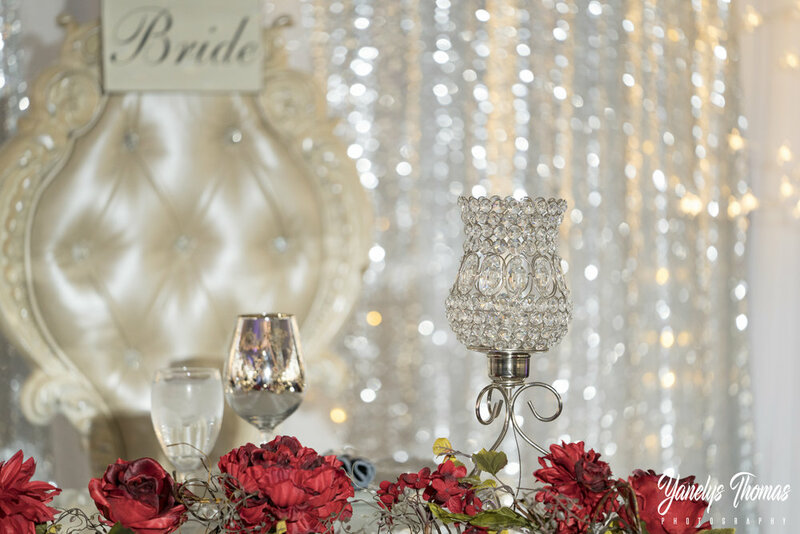 Inside the Castle she was greeted with a gorgeous Glass Venetian Mirrored Entry table and Gold framed mirror, Beautiful Burgundy floral accents and hand painted walls, it was all truly a magical setting for this perfect photoshoot. Her Unicorn also played the part, dressed in a flower necklace, Flowers on her hair and painted Gold Sparkly Hoofs. This little princess was the perfect model with her Magical Unicorn, They both looked like out of a fairy-tale book. A little best friend to take home and love her forever. This sure was a night she will never forget and that is what Sunset Castle is all about, Making all your dreams come true. 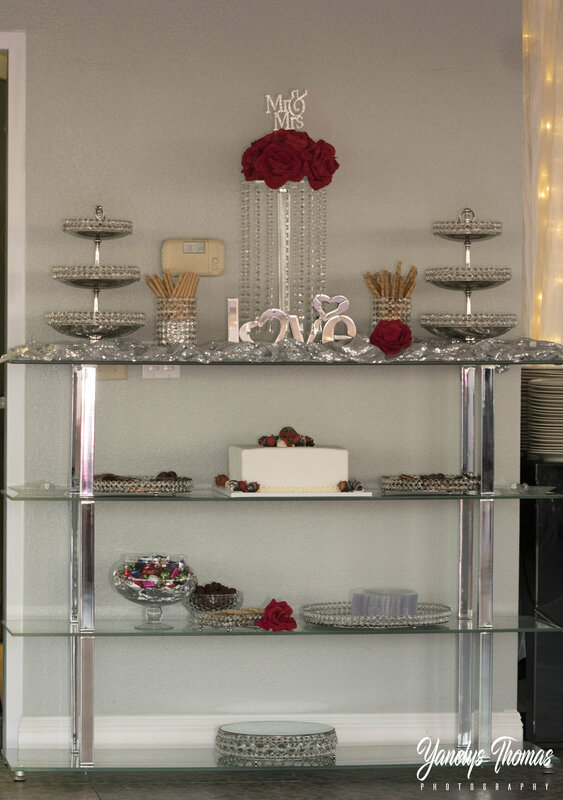 Sunset Castle is the only venue in Las Vegas and Henderson that offers Unicorns and Horses for all kinds of events,a garden and gazebo outside, VIP area and much more, We specialize in Birthday Parties, Weddings, Quinceañeras and any events you can dream of. special thanks to our partners from Grandview Horse Services in Henderson for the lovely Unicorn Miraya. This lovely mom-to-be held a baby shower at our beautiful venue Skyview Banquet Hall in Las Vegas and I did the décor and photography to help commemorate her special day. As the beautiful photos show, the mommy was effortlessly gorgeous in an off shoulder baby pink gown from Sew Trendy and Accessories. She chose to go with minimal jewelry and instead wore her hair parted at the middle and falling down her back in waves of gorgeous brown shades. This allowed her glowing beauty to shine through and her pregnant belly and pregnant glow coupled with the chic surroundings of the Banquet Hall made her photographs absolutely fabulous. The sweet feminine-themed baby shower couldn’t be more beautiful. Ethereal looking drapes in shades of blush pink and gold decorated the venue. Everything from the venue to the décor, and to the mama-to-be’s style showed off the beauty in the soft color palette. Indeed, the blush pink and gold color combination was accentuated by the white flower center pieces and walls and drapes decorating the cake stand. I personally coordinated this event designing the floral arrangement, and décor details and settings to ensure the mom got her wish for a baby shower worth of her baby and one that underlined how happy she was to welcome her little one into the world in a short while. The arrangement of the venue was an intimate one with round table set close and covered with rose gold table clothes. A large gold centerpiece holding a bouquet of blush pink and white blossoms with green pops of color occupied the center of the table. With up to 10 table place settings, gold chairs with white comfortable seats surrounded the table transforming each into understated beauty. White and pink wreaths in golden frames adorned the white pillar next to the large windows decorated with sheer white drapes providing a panoramic view of the boulevard below. Besides the sophisticated chandeliers, the cake table also attracted quite a lot of furtive yearning looks! The table draped in a table cloth of burnished gold groaned under the weight of its cake delights, the main attraction of which was a white and pink cake on a gold holder. Cupcakes as well as other delights surrounded it, their tasty look emphasized by a similar flower centerpiece and drapes of white and shimmering gold with a single wreath providing the background behind the cake table. 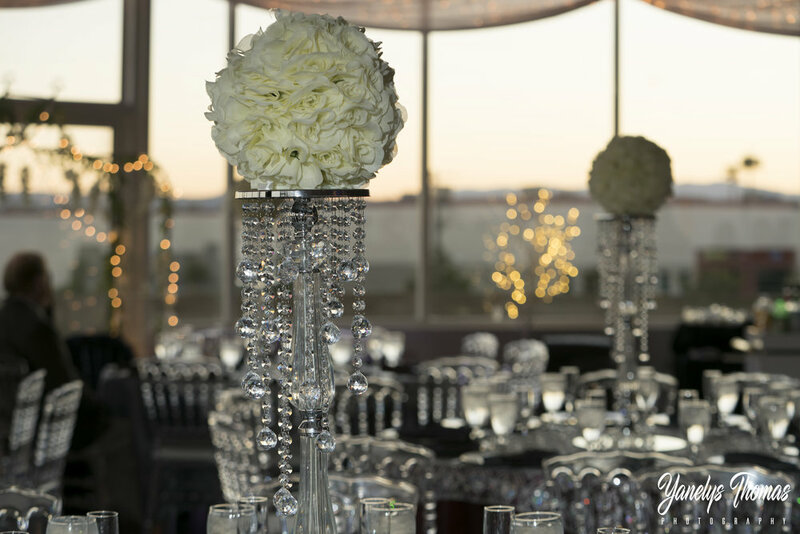 If the décor was amazing, our venue itself is absolutely breath-taking. 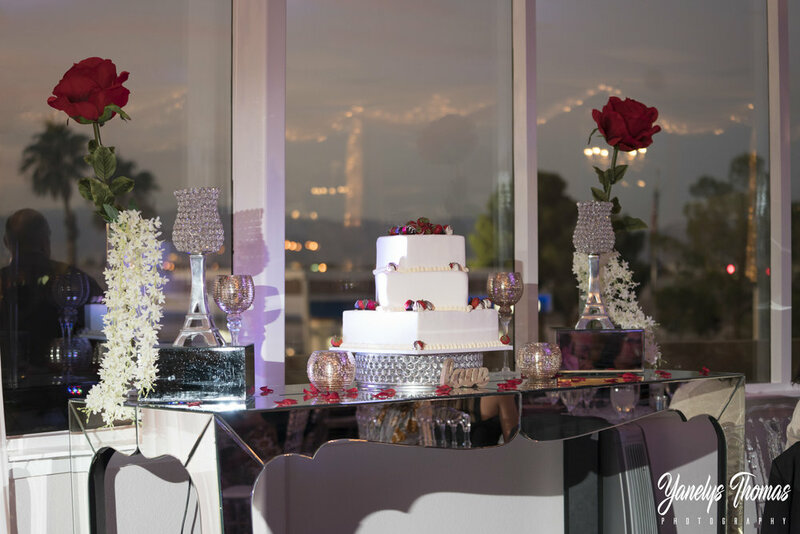 Skyview Banquet Hall is a venue all made out of 270 degrees of glass and overlooks the Las Vegas BLVD. It offers a great place in which to hold fabulous, creative, professional and affordable events ranging from baby showers, weddings, birthday parties and other corporate and social events. 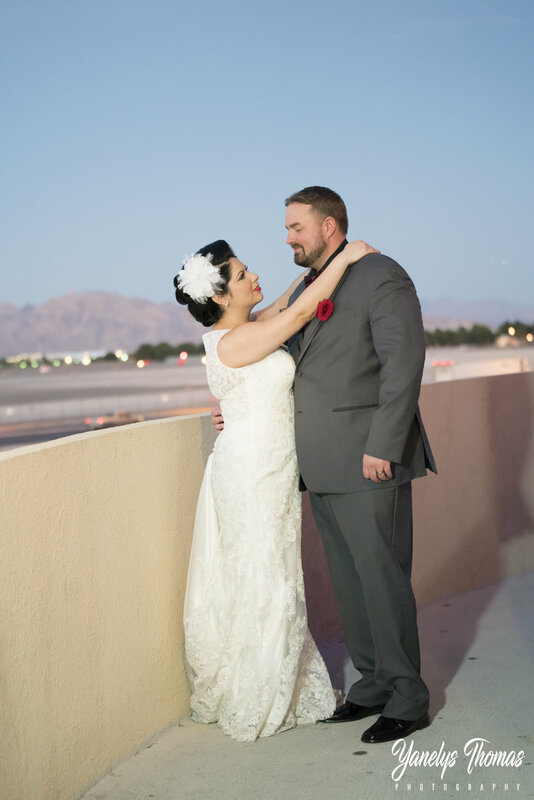 It offers great views of the Las Vegas Strip and surrounding mountains to add to the beauty of your event. On top of all this, the venue offers inclusive packages where the event planning and coordination is professionally handled to your specific needs. It is therefore the perfect place in which to host your event. We deal with both photography and event coordination. Apart from helping you organize your event and decorate it accordingly, we are also on hand to ensure the décor resonates with your theme and hence make for great photographs. We are therefore able to capture the beautiful details of your event and help you commemorate with sighs of pleasure for a long time to come!